Given his nickname by A's owner Charlie Finley, Hunter went directly from high school to the major leagues. 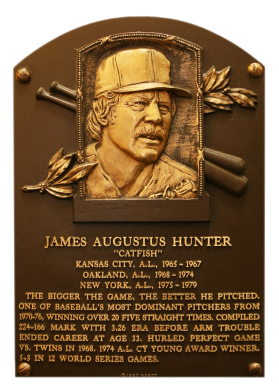 Beginning in 1971, Catfish won 20 games or morefive straight seasons and earned the Cy Young Award in 1974 with a 25-12 record. 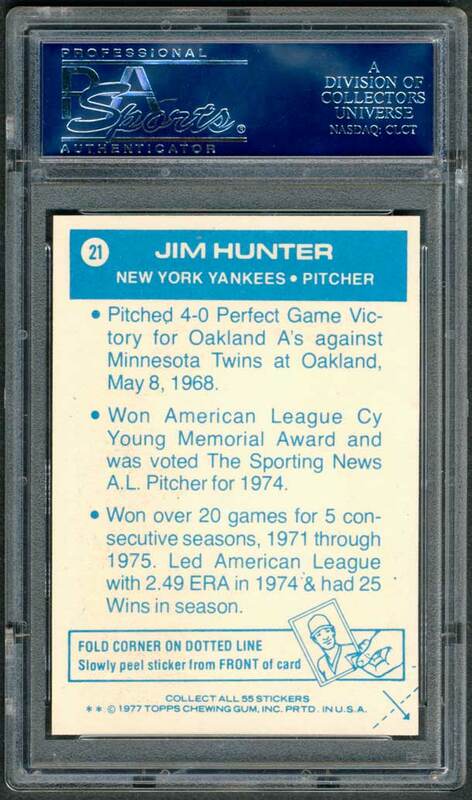 After three A's world championships (1972 to 1974), Hunter signed with the Yankees for $3.75 million in 1975, then the biggest contract in baseball history. He had a 224-166 career record with a 3.26 ERA and 2,958 strikeouts. Comments: A 1969 Topps PSA 8 card was the first portrait of Hunter I acquired - an eBay win in October, 2001 from Everything Baseball, Inc. 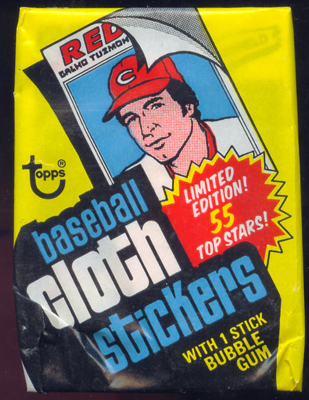 I really liked the picture but also had a Stargell and a Al Lopez from the same set. 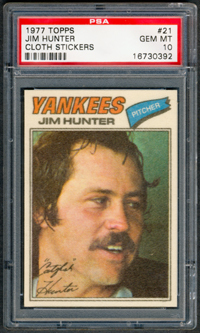 So, the card was replaced with a 1977 Topps Cloth PSA 9 purchased through eBay in Aug, 2007. Six years later, on June 23, 2013 I won this PSA 10! 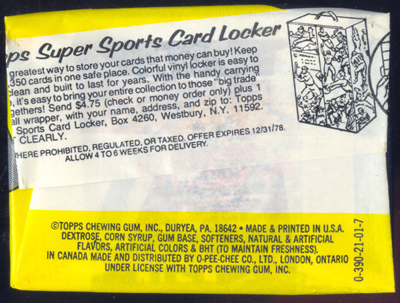 Description: One of the few Topps specialty issues of the late 1970s, the 73-piece set of cloth stickers issued in 1977 includes 55 player stickers and 18 puzzle cards which could be joined to form a photo of the American League or National League All-Star teams. Issued as a separate issue, the 2-1/2" X 3-1/2" stickers have a paper backing which could be removed to allow the cloth to be adhered to a jacket, notebook, etc.